Got a Drainage Problem? Better Disclose It When Selling. If you’re a Manhattan local looking to sell your home and are experiencing drainage problems, it might be time for a Stern Mold inspection. Our Manhattan mold removal services can keep you away from the financial pitfalls that come with mold growth by ensuring mold hasn’t called your place home. Get Help or Get Hammered? When selling a home you have certain responsibilities, and full disclosure is one of them. Home inspections are now an expected part of the process of buying or selling a home. If you know that a drainage problem could be affecting your home’s structural integrity or encouraging the growth of mold, Stern Mold’s trusted Manhattan mold removal team can help. Make selling your home a little easier by addressing the issue now. If you can’t afford to fix the problem, you can at least identify it before selling. 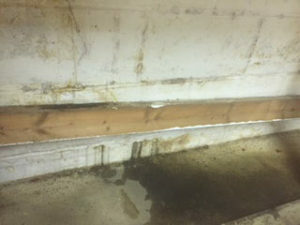 Our Manhattan mold removal team can inspect and detect for you. The next step is in your hands. It’s all about looking ahead to the long-term cost and long-term consequences. If you don’t report mold contamination before selling you could be facing court-ordered compensation. Humidity is a known factor in triggering mold growth and Manhattan’s climate breeds mold. If you’ve had leaks, drainage issues, or other water problems mold spores could already be contaminating the air you breathe. Stop the unknowns from crippling your next move and get an expert opinion. Don’t let mold keep you from selling your home and allow the new homeowners to experience life mold-free! Set up an appointment with Stern Mold today! We’ll keep your house on the market and money in your wallet!